Nebraska is a great place to find sweet and delicious bubble tea. These skillfully-concocted drinks are a go-to treat for anyone who loves tea or loves sweet tasting beverages. Bubble tea drinks are a combination of tea, fruit, and tapioca pearls called “boba.” These locations around Nebraska create high-quality bubble teas that can be topped with your favorite flavors and fruits and customized with different levels of sweetness. Here are the 10 best places for bubble tea in Nebraska. Vietnamese Asian Restaurant is a classic style Vietnamese restaurant serving up a huge variety of authentic dishes for lunch and dinner. Order one of their warm and savory bowls of pho and don’t forget a sweet and refreshing bubble tea to drink. Banhwich Cafe is a modern little cafe in Lincoln, Nebraska that specializes in two things: delicious Vietnamese-style banwiches and sweet bubble tea. Located just three blocks from the famous Peter Pan park, stop in for a sweet bubble tea before a day at the park. Thirst-Tea Cafe in Omaha is an expert in making all kinds of delicious teas. Any of their teas can be topped with boba to make a sweet and unique bubble tea. Once you visit this cafe you will see their passion for tea translates into delicious teas and great customer service. The Chocolate Bar in Grand Island is not your ordinary cafe. The Chocolate Bar serves breakfast & lunch items, coffee, teas, cocktails, and delicious desserts. 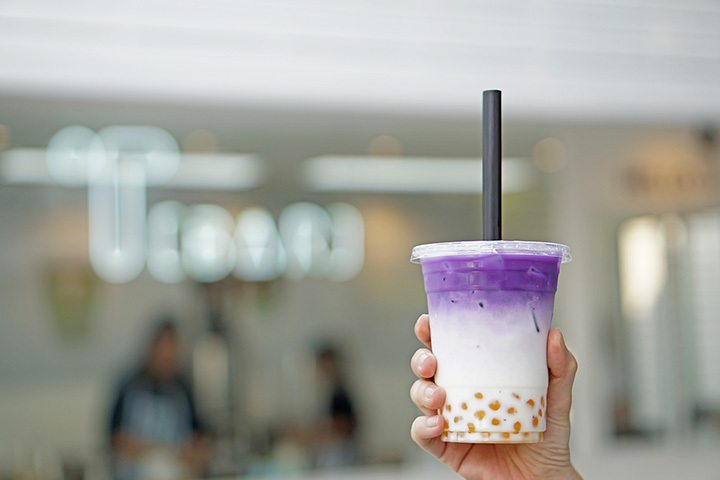 You won’t go wrong with any of their handcrafted food items paired with a delicious bubble tea available in mango, lavender, and taro flavors. The new Fresh Express smoothie restaurant is getting a lot of attention in Kearney, Nebraska for their high quality and fresh fruit drinks. In addition to their healthy smoothies you can grab a bubble tea customized with your favorite tea flavors and delicious bobas. Tea Vibe is a laid back tea shop that’s famous for their colorful and delicious tea drinks. Their huge drinks are served in light bulb shaped glasses that look as amazing as they are tasty. With their unique blends of fruit flavors there’s always something new to try. Okinawa Sushi is a Japanese style restaurant that serves a fresh and high quality variety of different Asian cuisines including Chinese and Japanese style dishes. They also have lots of flavors of sweet bubble tea which pair nicely with your meal or can be ordered for dessert. The Banh Mi Shop in Bellevue is a fun, fast, and healthy little cafe that offers tasty banh mi sandwiches and a huge variety of different teas. Not only do they have a list of green and black teas which you can order with boba but they also have a list of sweet bubble milk teas to choose from. Mr. Hui’s is the cornerstone Asian restaurant in Lincoln, Nebraska. For years they have been pleasing customers all over the area with their outstanding Chinese cuisine. In addition to your favorite Chinese dishes they also offer a wide selection of fresh and sweet bubble teas. Pho Viet is an authentic Vietnamese restaurant where you can find traditional style slow cooked pho and many other delightful dishes. They also make some of the tastiest Thai-style bubble teas so make sure you order a couple with your meal or for dessert.